The collision of a Pacific National train and an Aurizon train in Queensland, Australia, was caused by a faulty on-board information system, according the final report by investigators. 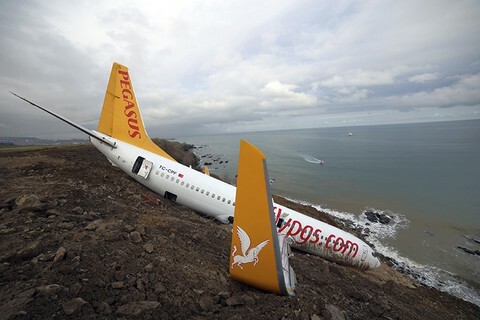 Was there anything else that figured in the accident? Let’s look at the occurrence and how it came about. 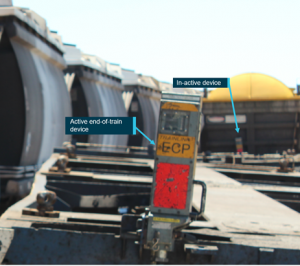 On the night of February 27, 2018, the Queensland Rail Network Control Officer (NCO) at Townsville planned to cross two freight trains at Oonoomurra (the train station in Cloncurry, Australia) on the Mount Isa line, Queensland. Train 9221 had departed Cloncurry at about 11:10 p.m., traveling in an easterly direction toward its limit of authority at Oonoomurra. Shortly after train 9221 stopped at Oonoomurra, its rail traffic crew advised the NCO that the rear of the train was clear of the track section between Cloncurry and Oonoomurra. The NCO then issued a directive to the crew of train 9T66, traveling in a westerly direction, to continue through Oonoomurra toward Cloncurry, as train 9221 had reported clear of that track section. The crew of train 9T66 entered Oonoomurra, traveling at about 25 km/h. As the train rounded a sweeping left curve at the western end, the crew sighted three empty container wagons at the rear of train 9221, with the last wagon impeding the track. The driver made an emergency brake application but was unable to avoid a collision. The collision caused minor damage to the lead locomotive of train 9T66 and the last wagon of train 9221, derailing its trailing bogie. There was no injury to the rail traffic crew of either train. The on-board information system in the lead locomotive of train 9221 was operating in a degraded state, displaying erroneous speed and distance information to the driver. 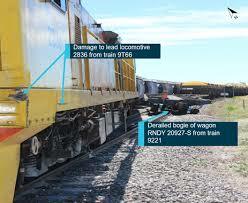 The driver, unaware of the error, relied on the displayed indication of distance traveled to determine the last wagon of train 9221 was clear of the track section to its rear. The rail traffic crew of train 9221 did not make sure the train was in clear before releasing the track section to the NCO. Towards the western end of the crossing, the track alignment resulted in the headlight of the lead locomotive on the opposing train projecting light predominately to the right of the track, away from train 9221. The rail traffic crew were observing the top sections of the adjacent bulk wagons but it was not until the track alignment transitioned to straight that the crew then sighted the last of three empty container wagons at the rear of train 9221. By this time, with the train traveling at 25 km/h and despite making an emergency brake application, a collision was unavoidable. Pacific National (PN) verified the accuracy of the Functionally Integrated Railroad Electronics (FIRE) system on each 83-class locomotive in its fleet and the process for advising rail traffic crew to use alternative methods to validate accuracy of displayed information, should a ground radar fault occur. Additionally, PN introduced procedures for the maintainer to identify restrictions to a locomotives operation as lead, and reinforced the implementation of procedures associated with the active identification of a stopping location with PN staff. Rail traffic crews on both trains undertaking a cross at a directional travel station under the Direct Traffic Control safeworking system must validate rail traffic is complete and in the clear prior to releasing the block to the rear of the rail traffic and prior to entering a block following receipt of a proceed authority. Peruse the ATSB report in its entirety here.